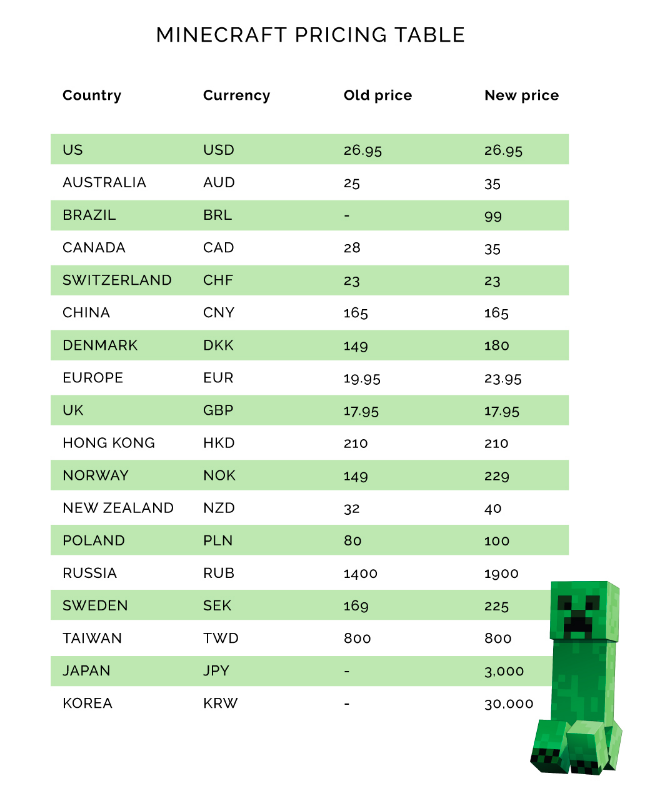 Sarting from May 23,the price of Minecraft PC in some countries will increasee according to the article from Gamespot,which would be a heartbreaking news for fans of Minecraft PC. From the chart above,you can see that the price in America, China,Taiwan,Hongkong and Switzerland remains the same,which can be really annoying.The price of Minecraft PC in Australia will go from 25AUD to 35AUD,and the price in New Zealand will go from 32NZD to 40 NZD. Its really great and knowledgeable blog you have shared about the the best vpn service. I appreciate your work.